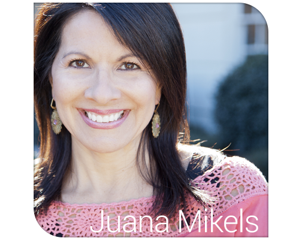 JuanaMikels.com: Richard Foster on Prayer & Wednesday Prayer/Link-up Party! Richard Foster on Prayer & Wednesday Prayer/Link-up Party! Proverbs 31: 30b says, "... a woman who fears the Lord is to be praised." A woman who fears the Lord spends time with Him (as she is able, see italicized note at end of blog for moms of little ones!) in prayer and reading His word so she does not forget who is in charge! I'm midway through Richard Foster's book on prayer; he has helped me to see that it's so easy to mistakenly go from thinking "this work is really significant" to "I'm really significant!" Let's not confuse our work with God's work! We can commit to having, intentional regular prayer in our lives to help us defeat the attitude of self-importance and other tricks of the enemy that wage the life dependent on Christ that we truly desire as we fall more in love with Jesus. I'm thinking of setting an alarm on my phone to call me to sudden prayer so I learn a new habit of interrupting what I'm doing for a silent prayer. Foster, in his book, Prayer: Finding the Heart's True Home, points out that what is "regular" for you may be different than what is "regular" for someone else for it depends on your personality and your needs. Don't you love that God sees us as individuals and not as a lump of people? He knows your need! He knows that if you have an urban lifestyle, you probably tend to function around a weekly schedule, as Foster points out. If you live in the country, your lifestyle may tend to follow a more daily schedule. My sister-in-law lives on a farm, and she has alpacas, chickens, and other animals to feed everyday. "A daily prayer discipline makes sense in this context," says Foster. I remember Anne Ortlund once said that she wouldn't dream of meeting with God until she had a shower. ☺ We don't all have to feel the same way, we just need to meet with God at a "regular" time. In urban life, Foster points out that everything marches toward Friday when the weekly schedule takes a dramatic turn (we are all familiar with the TGIF expression). He suggests a weekly prayer routine. Instead of feeling guilty of not being able to spend extended times of prayer everyday, he suggests that perhaps on Saturday there could be a more relaxed, longer experience of prayer and Bible reading. I asked Elisabeth Elliot once what she suggested. She told me that she split her Bible reading and prayer up during the week. She did one in the morning and one another time of day. I like doing them together, and I pray immediately after my time of Bible reading. I do like Foster's idea of using weekend time differently for our devotional time with God since weekends are so very different in the culture I live in from the Monday through Friday week. Perhaps that could mean a nice rhythm to the week of walking and praying on Saturdays or during the weekend, or a visit to a special tranquil spot with your Bible in an extended time with the Lord. Foster made visits to a bench in an indoor rain forest during the winter time that was located near him to provide a special time away with the Lord. I'd love to know what you come up with that is near you! I love to set aside Wednesday for prayer on my blog. I pray for everyone who stops by on Wednesday. Of course I don't always know who you are and if you stopped in today, but I know the One who knows! So I can pray for you even though I may not know your name! If you would like to leave a non-confidential prayer in the comments section, I will reply back to your prayer and type my prayer over you as I pray. Just click the blue word COMMENT under my signature at the bottom of this post. Feel free to leave something you're thankful for, or update and earlier request. Bloggers, I'd love for you to share a blog link with us! It is so nice to hop from blog to blog to see what like-minded Christians have shared that may help you in a clear way in your life. Enjoy visiting the ladies' blogs below—and if you can't stay long—just pick one that helped you and leave an encouraging note. You know how positive it is to receive an encouraging note! Let's be iron sharpening iron as scripture says! I completed the first entry below in the blog hop, you are next! I'm off to post a prayer in the comments myself! Please pray that I will humble myself before my husband the next time I feel the urge to needle him with why I think I'm right about something. I need to stop talking wwwaaaaayyy before I do, and be quiet. Thank you!!! Hi Heather! I have thought of your ministry to stepmoms so many times since learning of it! So glad you've given me the blessing of praying for you and your team! Dear Lord, I lift up Heather to you and the vision you have given her and her team to offer encouragment for those whom you've called to be stepmoms. Lord, guide them in Your way to the exact person to lead them in worship for their first ever conference Lord! We give that whole weekend to You, and we watch to see how You are going to meet this need. Lord, we pray for Heather's stepdaughter. Pierce her heart Lord! Melt that wall, Lord! Cause her to say, YES LORD! I NEED YOU! Help her to see her stepmom through Your eyes and that you have provided Heather as a source of blessing because You live in Heather. Amen. Scheduled devotion time seems to go out the window when you have small kids! However, there's heaps of time when you're changing diapers. Consider praying out loud while you change diapers or do feedings. Not only are you having precious time with the Lord, but you are practicing a habit of praying in front of your child, which is a great thing to continue as they get older. They grow up knowing you know the Lord personally! I would ask for prayer that I will live joyfully within the limitations of having chronic illness, knowing God can do more with my "less" than I can do trying to push myself in my own strength. Thank you! Amen, Kimberly on the difficulty on being flexible for those moms esp. that have small ones. That's why I wrote that italicized note at the end of the blog for mothers of infants. Whew! I hope all read your ideas in the comment above, too! Dear Lord, I lift up Kimberly to You right now. Lord, you are the God who sees, and You see Kimberly in her current health situation. Lord, may Your grace abound in Kimberly's life. Give her Your strength Lord. Help her to trust and obey You, right where she is Lord. Help her to know each hour of each day how much You love her and that nothing escapes your watchful eye. Amen. Thank you for praying last week. This week is going much smoother and a bit more stress free (at least as work is concerned). I did go to bed with a stress headache last night after meeting with our youth pastor and other parents about our 6th graders entering the youth group. Sometimes I wonder if I am ready for all this growing up that my kids do way too fast. Praying for God's mercy as I enter this season of slowly letting go as my daughter grows up. Oh Rachael, I can just picture you by the pool out there on the west coast getting up with the birds! How beautiful! Loving Lord & Heavenly Father, we thank you for the smooth week that Rachael experienced last week! We do not take a smooth week for granted, Lord! We thank you when that happens, knowing that you give the grace when the weeks are not smooth for our trust in You and that Your grace is sufficient. But we love to thank you for everything as you say in Your word! Lord, help Rachael to trust You with her growing children, We pray You will give she and her husband wisdom especially as her 6th grader enters a new season in her childhood of becoming part of the youth group. Lord, help her daughter, like Timothy, to be a good role model to the group even though she may be one of the youngest there. May your grace abound in Rachael, Lord as she learns day by day as her children grow to continually release them to your loving care. Amen. This is so strange, I added a few requests this AM but they are not showing up. Oh well. Praise that our 20yo son Stuart made an A in his college English class! He has had a difficult time adjusting to college. Prayers for Cameron and exams. He is borderline in a few classes and if he makes a D then he will be losing his car. He has brought them up a bit, but if he does not do well on the exam it will hurt him. Also for my husband, Paul to have a better day. He had a really bad day yesterday and when he arrived home did not want to talk to anyone. He acted as if he was mad and I tried to get him to talk but he would not. Hi Jana! Thank you first off for your diligence in re-posting! I'm so glad you did! Dear Lord, I thank you for Jana, and the encouragement she is to me by so faithfully posting her prayers! We praise you for Stuart's A in his college class, and we pray that here at the end of the year he will be encouraged by his grade & in other ways in what's been a big adjustment. Lord, we now lift up Cameron and his exams. Help him Lord to do the very best he can do. We pray for Paul. Lord, you know everything about Paul. You know every moment of that bad day yesterday. 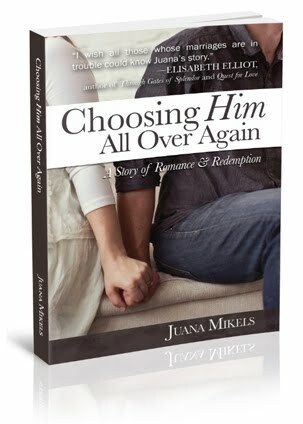 Lord, show Jana how she can make her home a haven for him to come home to, even in his silence. 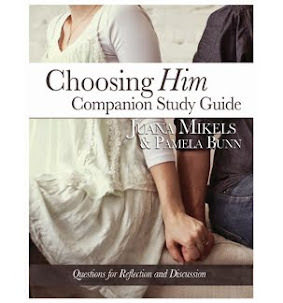 Guide Jana in helping to make Paul's life as easy and pleasant as she can. 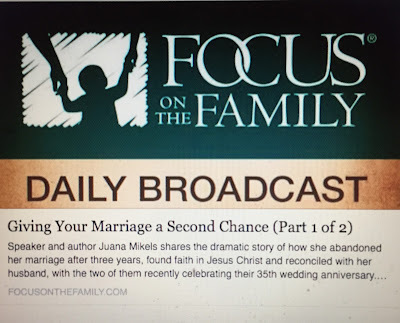 You work the changes that need to be done, Lord and help Jana to remember that she is not the moral custodian of her husband. Lord, help me remember that myself, Lord! None of us wives are! Lord, you work the changes in them and in us that need to happen for You to get the most glory. In the precious name of Jesus, Amen. Requesting prayer for a pastor and his wife in the Atlanta area who have a home church and are looking for a permanant location where they can now hold their church each week. They have out grown their home and need to re-locate quickly to another facility. They have requested prayer for this. They want to be sensitive to the Lord's leading on this. Thank you for your prayers concerning this matter! Hi A! I'm so glad you felt comfortable sharing this need. Let's pray! Loving Lord, while I don't know this pastor & his wife in Atlanta, You do. You are our Omnipotent—All-Powerful. Omnipresent—All-Present. Omniscient—All-Knowing God! You know our needs, & You know the need for a space for this group of believers to gather each week to honor You. Oh, Lord—we can trust you with things like leases, space, timing & changes. You are the God of these people & we ask You to provide them the space in Your time. Help them to trust You Lord as they wait for You to reveal Your plan, & guide their research Lord. Thank You that it is always possible to do the will of God, even if it means they are crammed together for longer than they want, they can trust You in your perfect timing! Amen.